about your tax planning, bookkeeping and more. 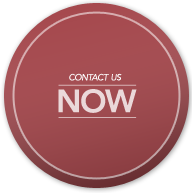 Find out more about our services. Welcome to National Business Consulting Pty Ltd. We are a member of the Institute of Public Accountants. We offer an extensive range of accounting services to individuals, partnerships, companies, trusts and self managed superannuation funds. At National Business Consulting we strive to provide you with the greatest client service we possibly can, as we employ a "client first" approach. We are very flexible, friendly and client orientated whilst upholding professional standards in the services we provide to you. We endeavour to learn as much about our clients business and individual circumstances. We provide an internal book keeping service where we systematically record your financial transactions. We compile the required information needed by financial institutions, whilst offering tailored advice to meet individual circumstances. Working together with our clients, we provide specialised advice when it comes to buying and selling businesses and real estate. This is where we try to understand what our client's wants and needs in the future to properly structure the correct entity to minimize tax obligations. What are you waiting for? Contact us @NBC now!